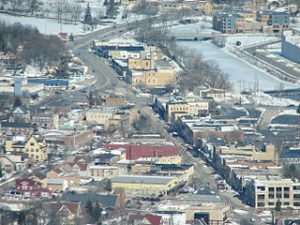 Do You Require HVAC Services in West Bend? As an authorized Lennox dealer since 1919, Jackson Hardware Heating and Air Conditioning has serviced the West Bend, WI area for more than 27 years. We provide quality heating, cooling and air conditioning services with 24-hour emergency service for those spur-of-the-moment HVAC emergencies. If you live in the West Bend area, you already know how unpredictable weather can be. One day it’s hot and sunny, with abundant sunshine and the need for constant air conditioning. The next morning, the weather is chilly, with a cool breeze and the sudden need for extra heating. The unpredictability of the weather is what makes a reliable HVAC company so important for your West Bend home. Whether you’re new to the area or a lifelong resident, if you take good care of your heating, cooling and air conditioning unit, your HVAC system will return the favor. Unfortunately, HVAC systems rarely sound the alarm when they are about to break down. One day your air conditioning unit is humming right along, pumping cool air into your home. The next day, it’s not working or barely working at all, and chances are good that the breakdown occurs on the hottest day of the year. Whether your AC stops working on a 90 degree day or the furnace quits when the temperature is below freezing, call us at 262-677-3477, 24 hours a day, 7 days a week. We guarantee you’ll speak with a live person. At Jackson Hardware Heating and Air Conditioning, we know the last thing you want to do during an emergency is leave a message, hoping someone will get back to you! If you want your HVAC system to be there when you need it, you need to take care of it. That means scheduling yearly preventative maintenance to address small problems before they become big ones. Your annual checkup will also improve the efficiency of your HVAC system, and that could mean lowering your heating and cooling bills all year long! If you can’t remember the last time you had your heating and cooling system serviced, now is the right time to call. Those West Bend winters can get pretty cold, and the summers can be blazing hot, if you suspect your HVAC system is not operating as efficiently as it should be, now is the time to have it serviced and repaired. All of our technicians are industry certified experts, so you can have confidence in the work we do. Whether you need a basic inspection, a simple repair or a complete overhaul and replacement, our expert technicians can deliver exactly what you need, for a price you can afford. Having your HVAC system checked and serviced now could mean lower utility bills down the road. An inefficient heating and cooling system will use more energy than a unit that is running more efficiently, and that means more money out of your pocket each month. Whether your HVAC system is relatively new or decades old, a HVAC checkup could lower your utility bills and keep your West Bend home cool and comfortable all season long. Jackson Hardware Heating & Air Conditioning is proud to be your authorized Lennox® dealer in the West Bend area, with more than 27 years of experience and a legendary commitment to customer service. Whether you need emergency service for your HVAC system, air conditioning repairs, maintenance, or installation of a new furnace, we can provide the service you need in a timely manner. Just give us a call today at 262-677-3477 to discuss your HVAC needs and let’s talk about how we can help.